Kelechi Udoagwu is a Communications expert, Tech evangelist, media content creator, youth empowerment advocate, and entrepreneur. We first met Kelechi when she launched her Startup, Skrife while working at MEST, and interviewed her plus her cofounder, Tolu Agunbiade, about how they run their Startup. Now, she is back with another impactful work, producing and hosting a web series that focuses on educating Africans to utilize technology and digital tools to achieve more with less and perform optimally in their lives and businesses. Whoop whoop! 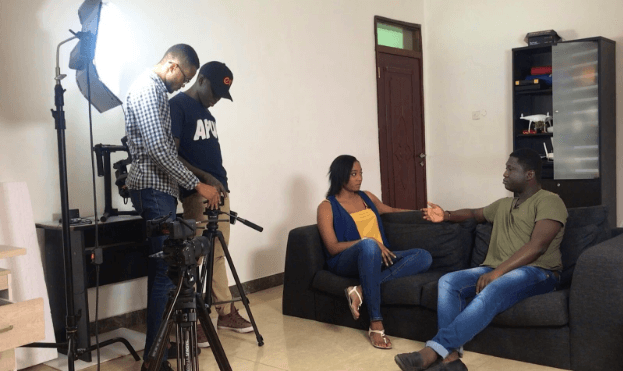 In this chat, we ask Kelechi Udoagwu why she started the Tech show, Bitnode and the type of content to expect from the show. How did you come up with the Tech Show? And what impact are you planning on making with the Tech Show? I had created a similar show with Pulse TV. The goal was to talk about tech news and innovations in a way that Africans not interested in tech could appreciate and enjoy. With this new show, my goal remains the same but this time with an edutainment angle. I want people who feel clueless about the tech industry to get basic info and knowledge that everyone should have in this day and age – to be able to participate in intelligent conversations and leverage technology in their own lives. Our primary target is ambitious African millennials. If we can put an average Nigerian or Ghanaian youth on a path to better opportunities in the most exciting industry in the world, then the Tech Roundup is worth every second we put into it. Bitnode is back with a bang! Stay tuned for super exciting #tech content. You recently left paid employment at MEST to focus on building an impactful African brand, how has that shift been like? Honestly, it’s been full of ups and downs. Some days I stay in bed and some days I’m on fire, knocking things off my goals list. I feel blessed to have the opportunity to have days when I sleep in but I’ve noticed that on most of those days, I’m less happy at night. I’m finding that regardless of being paid, I need to pour myself into activities that feed my soul and feed other people. It’s been an interesting and not-so-fun journey trying to understand myself and purpose better. How do you keep up with Tech news and come up with new Content for the show? Keeping up with the tech news is effortless because I’m neck-deep in it. My Twitter timeline, inbox, professional contacts all keep me informed. My job is then to sift through the noise to get to things I consider interesting or useful enough to talk about on the show. We are still in a space of trying to understand our audience to cater to them better. We’re just five episodes in now, so we are open to hearing from viewers – what would you love best from a show like this? Hahaha, as I notice them, I’ll get them on. There will be both unknown and established techies on the show as my goal is not to spotlight only those who are successful but also those who have new and truly innovative ideas or creations to add to the conversation. In my next episode, I’ll be talking to a 25 year old Ghanaian, Chloe, who makes clothes with QR codes you can scan to get straight into her online shop. Imagine you see a beautiful design of hers on a friend and you want it, you just scan the code on the outfit and get straight to her shop. Creative stuff. Easy-to-apply technology. These are the kind of things we plan to showcase on the Tech Roundup. Make sure to tune in to watch. It’s still on just Facebook and I sincerely (bows down) apologize; I’ll be uploading to my YouTube channel soon.